How to Store Reference Files in a Project? Current: How to Store Reference Files in a Project? During the discussion of requirements with user, you may be given reference files that explain user's problems or needs. These files can be useful in future discussions or even be used as references during the implementation of features. In Visual Paradigm, you can maintain a reference between your software model and these with external files. If your team is using Visual Paradigm Online/Teamwork Server as the collaboration solution, you can make use of the "Teamwork Files" feature to keep these files under the project, and to have them shared among the team. In this tutorial you will learn how to do this. In order to complete this tutorial, your team must be using either Visual Paradigm Online ("VP Online") or Teamwork Server. You also need a project file to walk through this tutorial. To avoid messing up your production data, we have prepared a project file for you. Please download the project file Invoicing System.vpp and ask your server administrator to import it into the server. By the end of this tutorial, you may ask the administrator to delete the project file from server to release storage space. Finally, since this tutorial involves the sharing of teamwork files with another team member, some steps will be performed by another team member who has read and commit permission to the project Invoicing System. You are suggested to ask your teammate to work with you in completing this tutorial. Open the project Invoicing System from server. You can open a project by selecting Project > Open from the application toolbar. 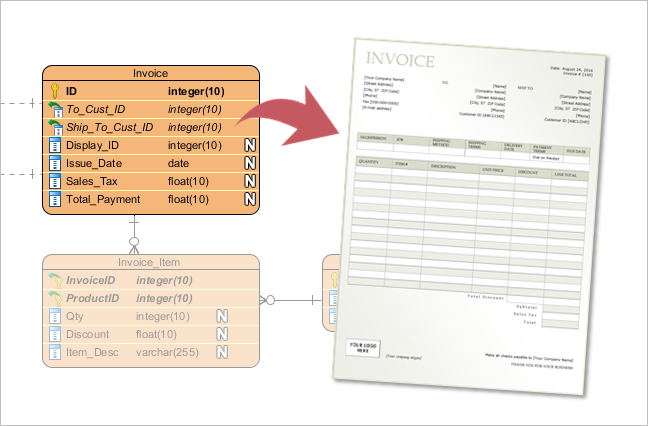 Open the Entity Relationship Diagram (ERD) Invoicing System ERD. You should see the diagram below. Let's say the user has given us an invoice file for referencing. We want to maintain a reference between the database design and the invoice file so that the database designer can read it when creating and maintaining the database schema. Now, let's add the invoice file into this project. Select View > Project Browser from the application toolbar to open the Project Browser. The Files page is where you can store and manage project-related files. Let's add the invoice file into the project. Download Invoice-Sample.pdf. You can also find this file at the bottom of this tutorial, under the Resources section. Let's create a folder to hold the invoice sample. On the left hand side there is a list, which will out the files in this project. Click on the New Folder button on top of the list. 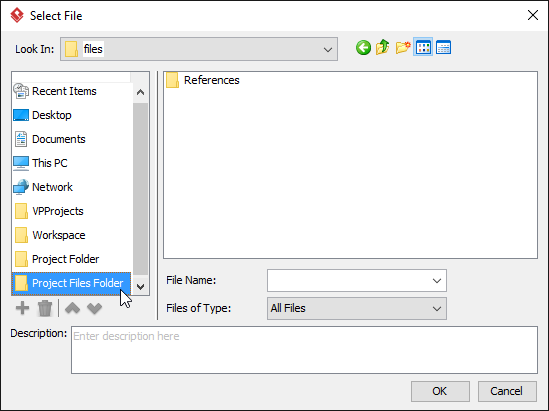 In the New Folder dialog box, enter References as folder name. 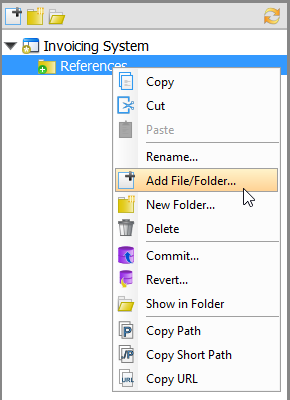 Right click on the References folder just created and select Add File/Folder... from the popup menu. In the file chooser, select the invoice sample downloaded, and confirm. You should see its thumbnail appear on the right hand side of the page. 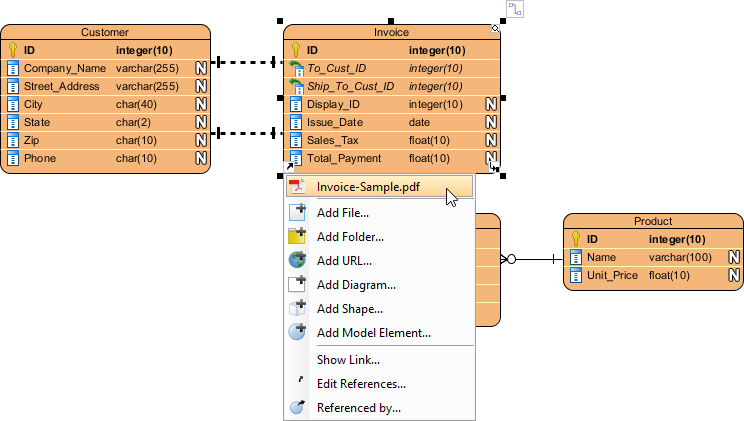 In this section you will add a file reference from the entity Invoice in the ERD to the sample invoice file. 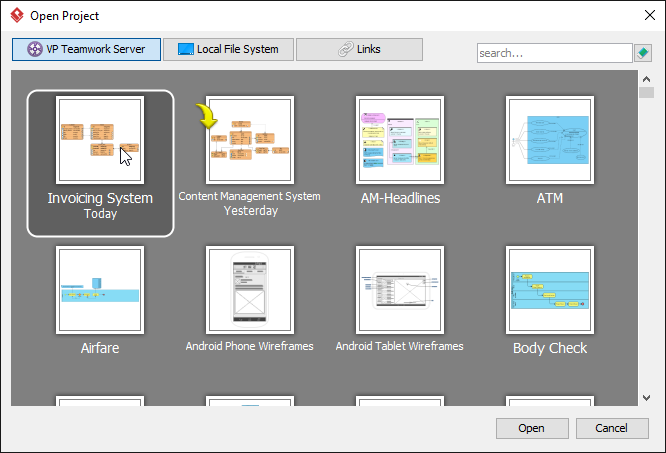 Open the Diagrams tab in Project Browser. 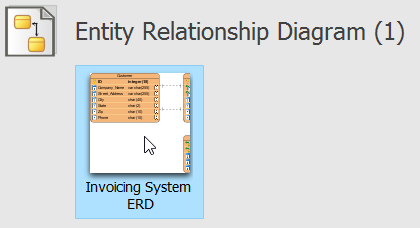 Double click on the thumbnail of the ERD Invoicing System ERD to open it. Move the mouse pointer to Invoice entity and click on the reference resource icon at the bottom left of the shape. Select Add File... from the popup menu. This opens the Select File window. 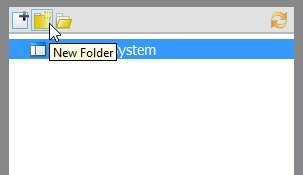 On the left hand side, select Project Files Folder. Select the file References\Invoice-Sample.pdf and click OK to return to the diagram. Commit all the changes to server by selecting Team > Commit from the application toolbar. Ask your teammate to open the project Invoicing System from server, or to perform an update if he has opened it already. Both the design changes and the files kept under the project are shared with him/her. He can now open the sample invoice file from the database design. 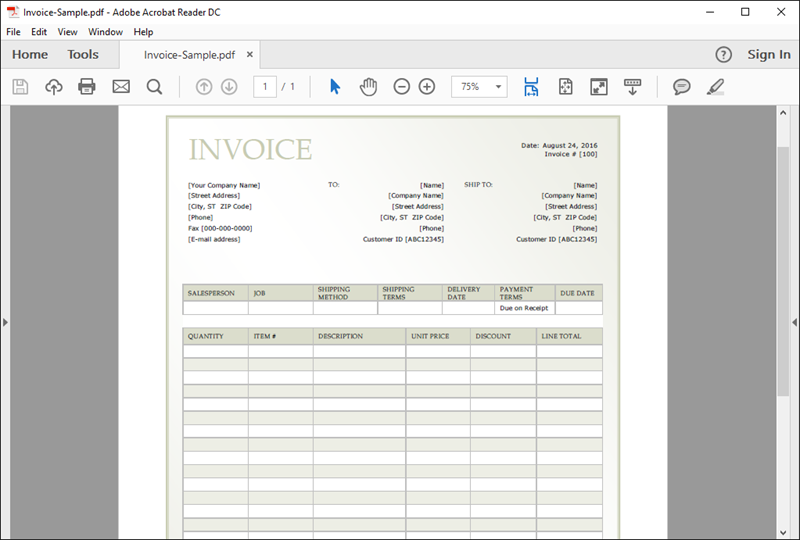 Click on the reference icon from the Invoice entity and select Invoice-Sample.pdf from the popup menu. How to Share Design and Referenced Files with Teammates?